We have a feeling that we look at motorcycles in a way that is similar to the team at Cycle Visions. When you buy a new motorcycle, it might look shiny and new, like a masterpiece of craftsmanship. But we can’t help but think that it’s missing a little something. It needs some special touch, something that marks it as our own. When we step into the parking lot and look at the line of motorcycles outside, we want to be able to pick ours out from a mile away. Here at Dennis Kirk, we have a soft spot for customized motorcycles. That’s why we stock all of these incredible Cycle Visions Motorcycle parts; so that we can keep seeing custom bikes like yours out on the roads. 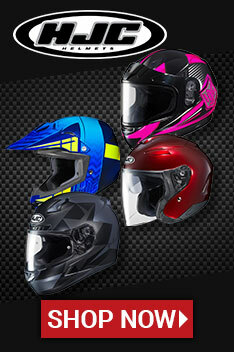 Cycle Visions products are a great place to start for anyone looking to customize their motorcycle. They make a wide range of products, ranging from sissy bars and fork tube extensions, to license plate frames and ignition switches. There is no shortage of options in Cycle Vision’s selection. We know it’s sad, but it has to be said: Not all of the parts you see here will fit your motorcycle. Don’t waste your time looking through products that won’t work for you. At the top of the page, fill out the fields where it says “Find Parts Fast” and we will sweep away all of the useless parts.